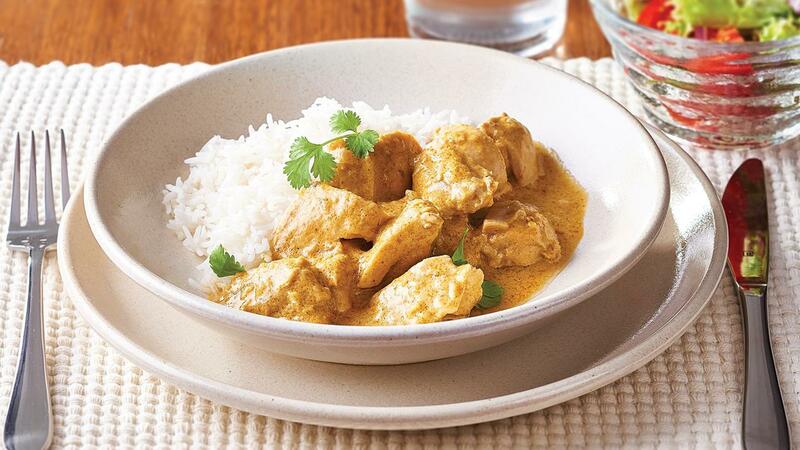 This curry dish is a tasty mild option that your residents will love. Combine the KNORR Coconut milk powder and water together, add the KNORR Patak's Korma Sauce. Pour the sauce over the chicken and bake in the oven at 180 degree Celsius for 25 minutes or until cooked. Serve with steamed rice or garden salad.